Discovery of the simple use of stunning vibrant colours is one source of inspiration behind these courses. Starting with the sketch, oil pastels; caran d’ache neopastels and winsor and newton oil bars, are provided. We use the oil pastel sketch as the platform for our creativity and for developing a feel for the process being as important as the final product. Demystifying art, in as much as all art is based on some simple techniques and exercises is essential whilst maintaining a structure around this that encourages development of your own critical and expressive approach. Enthusiastic and inspiring tuition is guaranteed and plenty of opportunities to produce numerous and surprising expressive and colourful sketches. Take a look at her previous students work here. 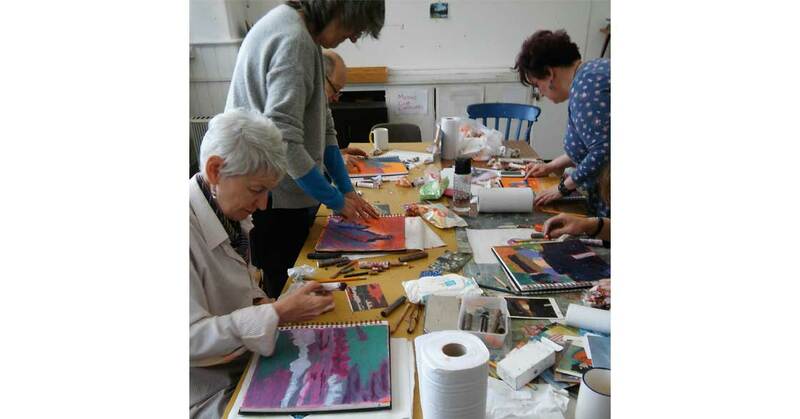 An intensive 5 day Use of Expressive Colour Workshop. Cost: £120 all materials included, booking essential.